Pass your E-tray. Get the job. 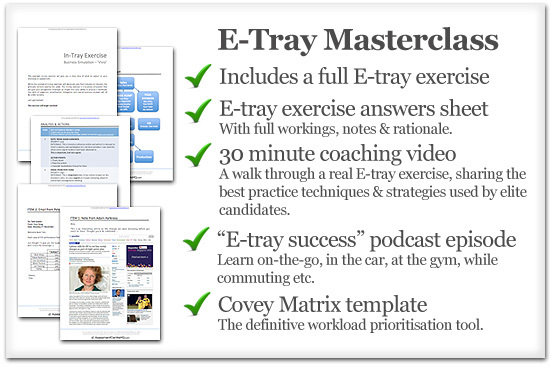 The ACHQ E-Tray Masterclass has everything you need to succeed including a real E-tray exercise, a detailed answers sheet (with full workings) and a 30 minute coaching video. 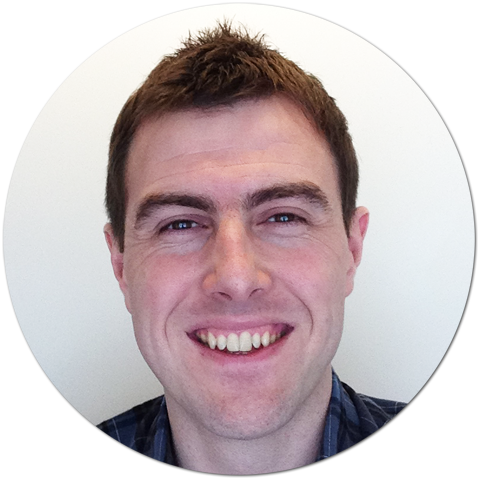 Mike Kennedy is a careers and recruitment guru with 17 years’ experience working and recruiting for some of the biggest corporate employers in the UK, including BSkyB, UniLever, the BBC and News International. Mike provides employability workshops for leading UK universities, writes for Guardian Careers and runs AssessmentCentreHQ.com, a free job-hunting and careers resource for graduates and young professionals. You can find Mike on twitter here. NOTE: This product is available as part of our Assessment Day Ultimate Guide Bundle. It may be cheaper for you overall to buy it as part of that package. Why are E-trays so influential? E-tray and in-tray exercises (they’re the same thing) are an interview favourite for many employers as they demonstrate how a candidate would process a workload if they got the job. An E-tray exercise is a ‘hands-on’ job simulation that’s very useful for the employer as candidates’ prioritisation skills and thought processes are clearly revealed. As with so many elements of career success, practise makes perfect. 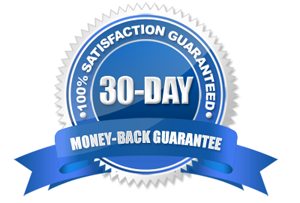 We’re so absolutely sure that you’ll love your E-Tray Masterclass that we’re happy to offer an unconditional, no-questions asked 30-day money back guarantee. If for whatever reason your E-Tray Masterclass does not satisfy you in any way, simply send us an email within 30 days from your purchase and we’ll refund you right away. If you’d like to know more or have any questions get in touch here.